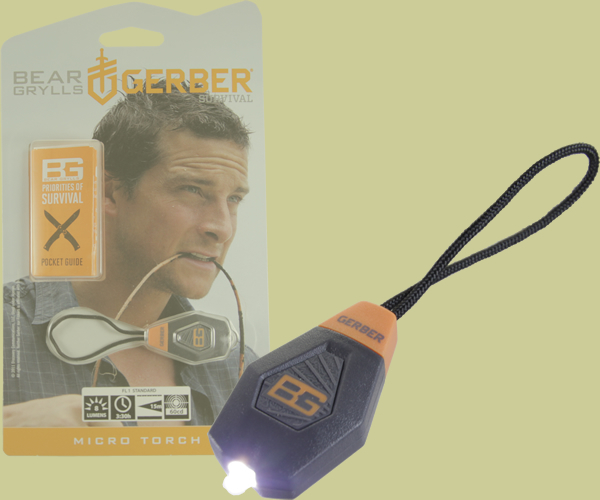 The Gerber Bear Grylls Micro Torch 31-001034 is a great back up light. It can easily be attached to a zipper, loop, carabiner, or keychain so you will always have access to light when you need it most. The soft rubber switch toggles between off, low, high, and beckoning. Two CR1616 batteries power the Micro Torch for up to 9 hours. The low setting provides 3 lumens for 9 hours while the high and beckoning setting provide 8 lumens for 3.5 and 6 hours, respectively.